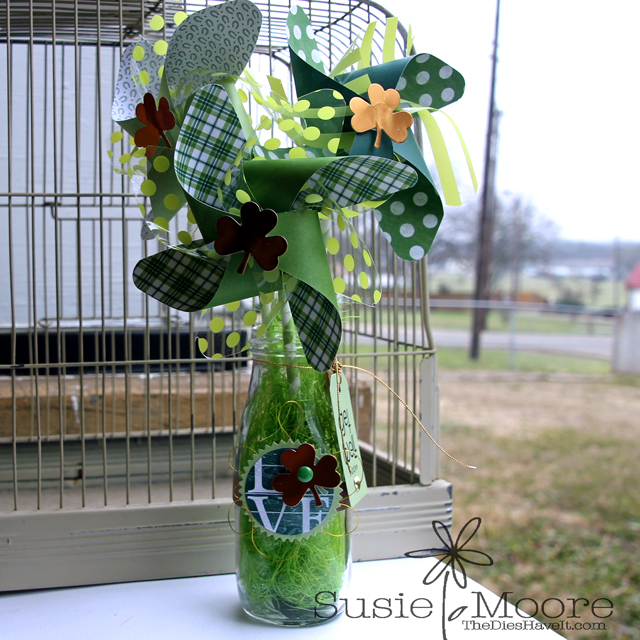 Just a quick post to share my pretty green shamrock pinwheels with you. I am totally in love with my WRMK Pinwheel Punch Board and making pinwheels with transparency paper on one layer makes them even better! This little treasure went to a friend who is in the hospital right now. Every time I see her, there are her pinwheels proudly displayed. I love that it brings her a bit of happiness and a reminder that she is loved.